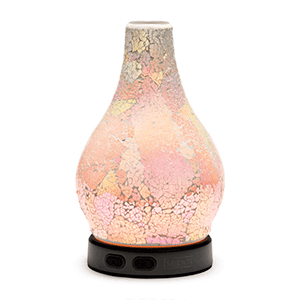 Scentsy Enchant Diffuser – Finished in a crackled glass-like effect, Enchant is a perfect piece for the bold at heart. 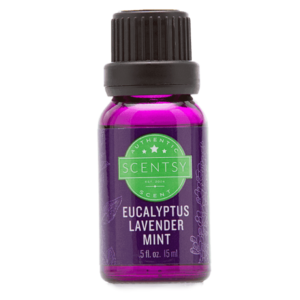 – When on, our diffusers immediately fill your space with stunning, artisanal scent. – Set the mood with 16 dazzling colorful LED lighting effects. – Interchangeable diffuser shades, so you can swap them out whenever you please. 1. Add water to the reservoir. 2. 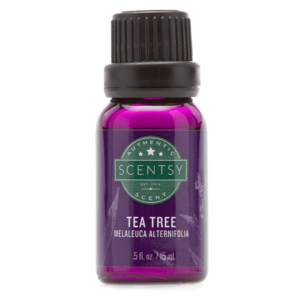 Add 3-4 drops of Scentsy 100% Natural Oils. 3. Choose your light, color and mist settings and enjoy!